This modern design restaurant is located in a mandatory pass place inside the Gaixample area, and takes advantage of it offering superb panoramic views through its huge windows. It is ideal for seeing and being seen. Is the perfect place to control people coming and going, in this fact lies much of its success. 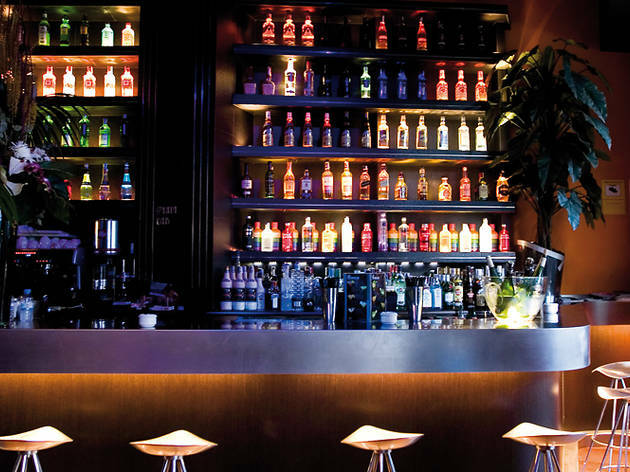 Since its inception, El Plata bar is discreet. Do not celebrate birthdays or through special parties. Not intended to become a fashionable place. 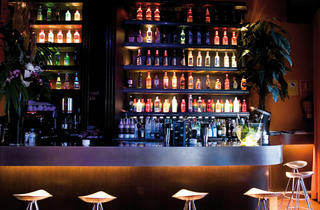 Just want to be a meeting point where clients feel comfortable while having a drink. The bar is right to bring girl friends or hetero friends. The pop music increase its volume and rhythms nights arrives.